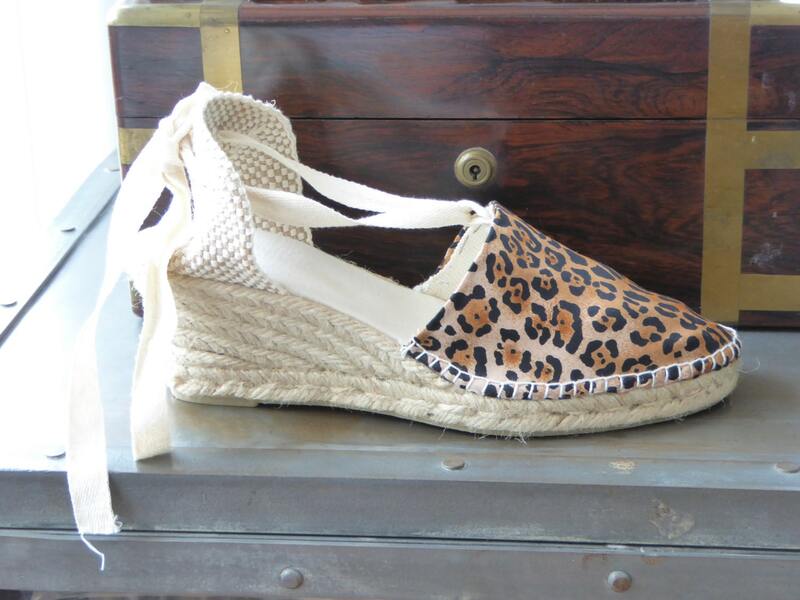 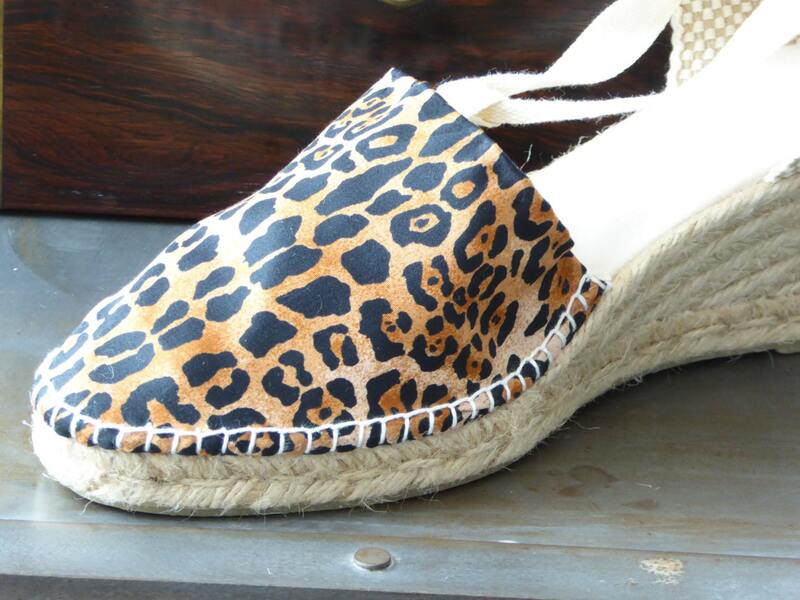 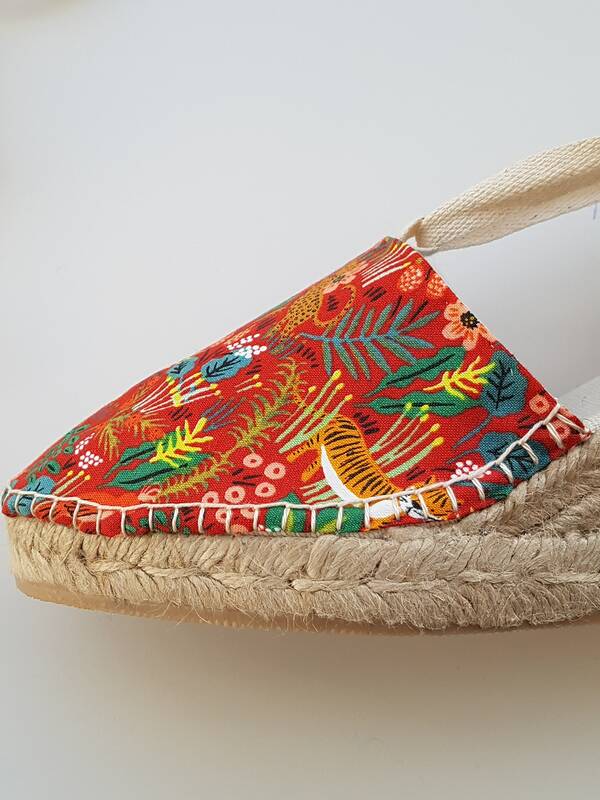 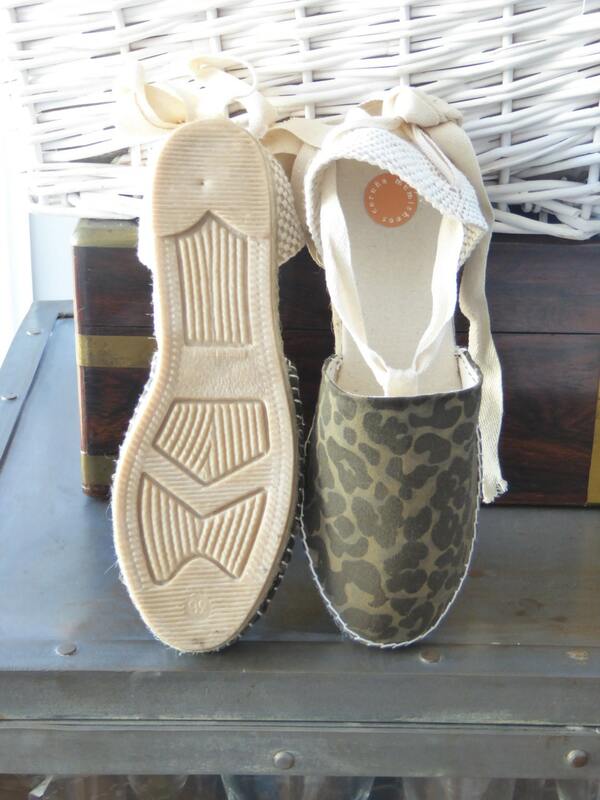 Rope sole wedge espadrilles (7 cm=2.72 inches) with ribbons in cotton, fabric pattern= camouflage, cheetah (animal print) or saphari. 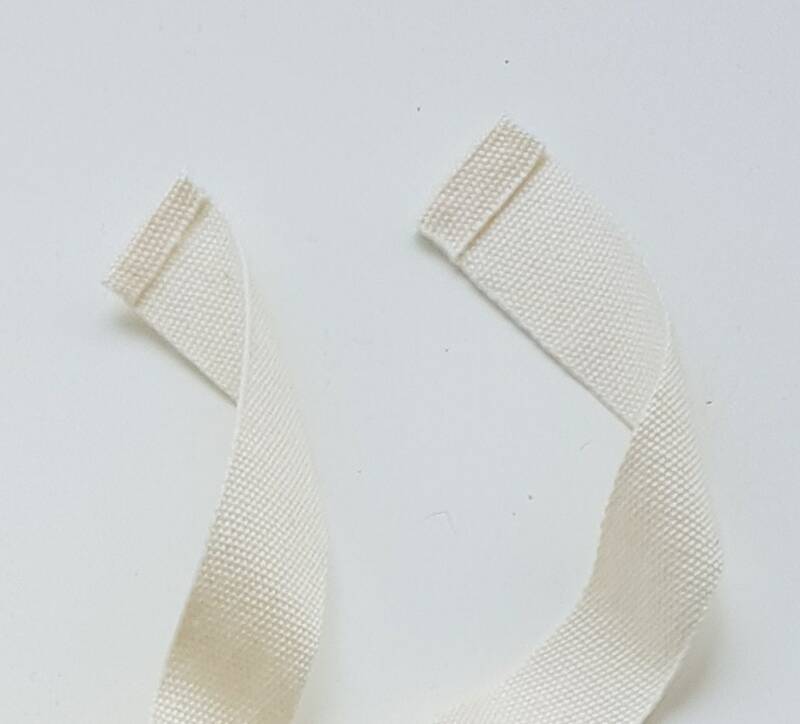 In order to prevent the fraying of the ribbons, the ribbon ends como glued, what makes a quite nice closing (see last pic for details). 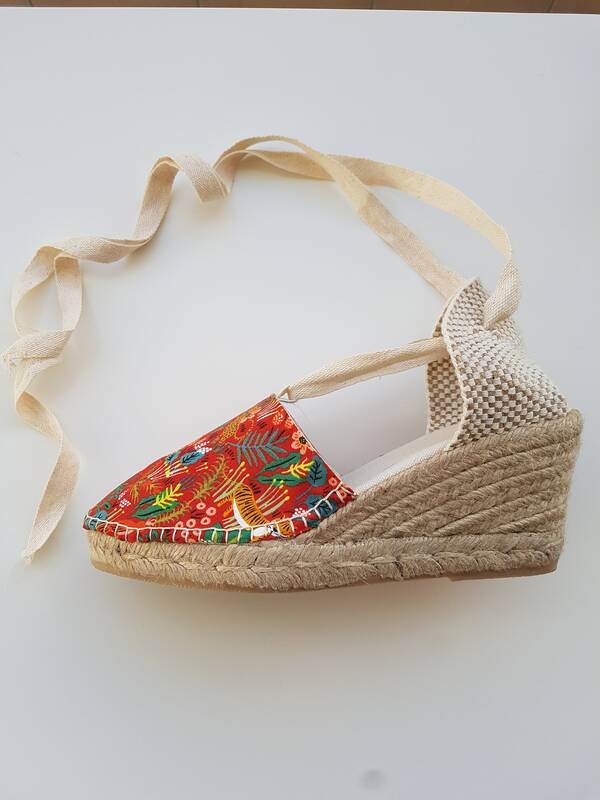 Lovely item and terrific seller who contacted me to let me know this new item was now available, kept communication lines open and shipped quickly. 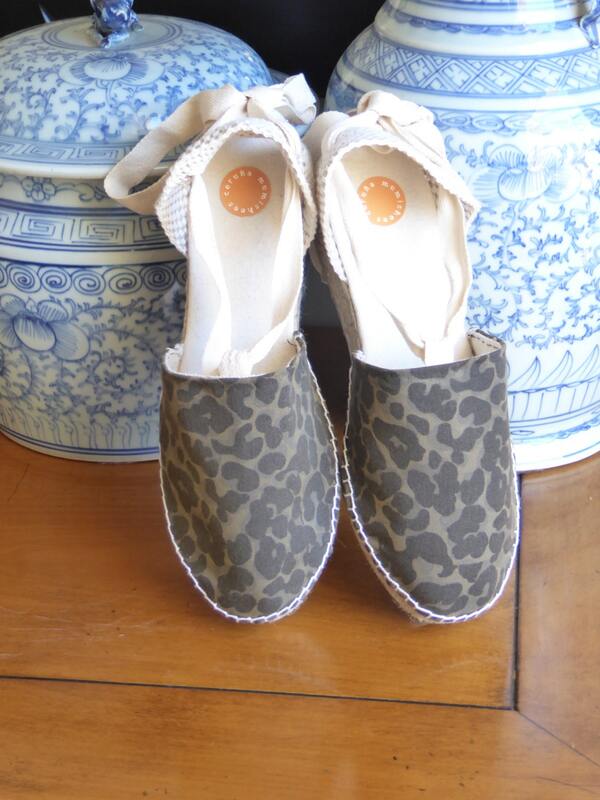 Thank you so much - I love my leopard espadrilles!